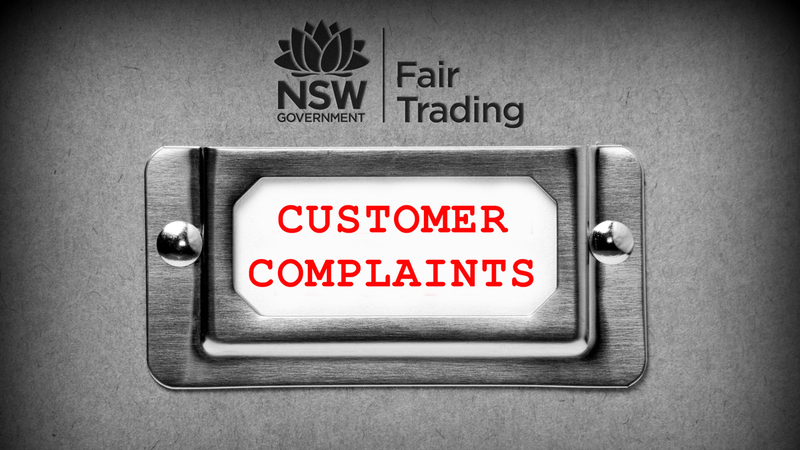 Complaints recorded on the NSW Fair Trading Complaints Register are out for August. According to the register, complaints for Real Estate Agents have increased in the month of August. In the July register there were 4 real estate groups and in August there were 7. The number of complaints for real estate have risen in August. In July 2016 there was a total of 90 complaints. Out of the 90 complaints for 21 related to sales and property management and 69 related to residential tenancy. In August 2016 there was a total of 115 complaints. Out of the 115 complaints for 34 related to sales and property management and 81 related to residential tenancy. Next month will see location data added to the register so the actual offices will be identifiable by consumers. With so many more ways that consumers can lodge complaints online, such as ‘rate my agent’, principals need to strictly monitor complaints and endeavour to rectify any volatile situation before it blows out of control. Ask all staff to bring any customer concerns or complaints to your attention – include time in your weekly meetings to check in with staff. Ask the receptionist to write all complaints in your complaints register. Ask the receptionist to alert you as to any points of interest. Be vigilant online and check for any possible complaints on all of your social media pages and make sure that you respond appropriately. Get into the habit of checking your name and your company name in Google to see if there has been any negative comments, reviews or articles.